As expected, Carmelo Anthony’s eighth signature shoe with Jordan Brand was well-accepted and was a huge hit in the market. This November 2011, a new colourway has dropped and it is also expected to make a lot of noise because of its impressive and compact design. 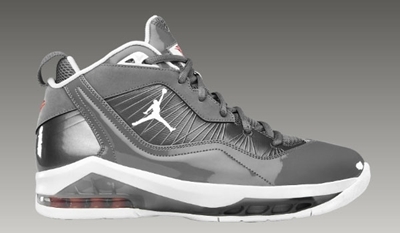 The Jordan Melo M8 was recently released in Cool Grey/White-Orange Flash colourway. It features an upper part made with shiny cool grey leather paired with white midsole and outsole. The shoe not only boasts an impressive makeup but also topnotch quality and comfort level, making it absolutely worth the money you will be spending for it!